I love the end of Summer. As the warm weather wanes mornings become crisp. It’s a time of transition: children going back to school, and apples beginning to ripen. It is the latter that brought me to a local apple farm in early September. 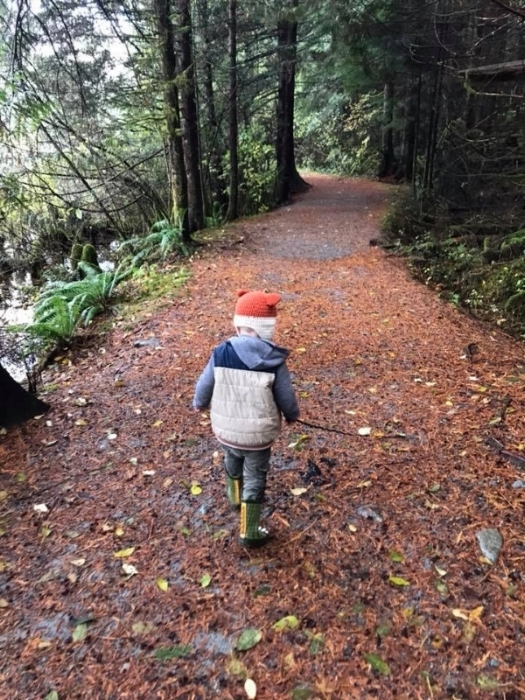 My two little boys (ages 4 and 1 ½ ) have friends the same ages, there are 8 of them in their little group, nicknamed “the wolfpack.” As I walked around the farm enjoying my latte and watching them play and interact, I felt happy and inspired. They were building connections, laughing, playing and showcasing their independence. In that moment, for them, ANYTHING was possible. They were happy and innocent, full of opportunity and promise. As an employee of a non-profit I am frequently asked why I do what I do. It is in these moments of joy and inspiration that my “why” becomes glaringly obvious. I work in this field because I want to be a part of a world that has every person feel that same connectedness, promise and opportunity; regardless of (dis)ability, socio-economic status, gender or gender identity, sexual orientation, race or ANY real or perceived difference. I want to build a world where unlimited promise, opportunity and connection are a human right and not a privilege. Because these opportunities are in fact, a privilege. You see, aside from spending a great deal of my time working at the Asante Centre - putting my blood sweat and tears into an organization dedicated to helping people who have experienced impacts from developmental stress exceed their own expectations - I am a sibling of someone on the autism spectrum. I have had a front row seat to witness what a privilege it is to have access to services, opportunities and even the ability to connect with other human beings. This world is full of rhetoric that tells us that people who are living in poverty or struggling are doing so because they “won’t.” There is little room in the court of public opinion for the harsh reality that there are very real barriers out there and it is rarely a matter of unwillingness to act but rather a matter of inequitable access to the same services that I, as a straight, cisgender, Caucasian female have. I say this not to apologize for who I am, but to acknowledge the privilege that I have, with the full realization that this privilege (however unfairly) allows me to have a louder voice than some, perhaps louder than most. My “why” calls me to use that voice for action, to use it to help build a world where unlimited promise, opportunity and connection are innate human rights.